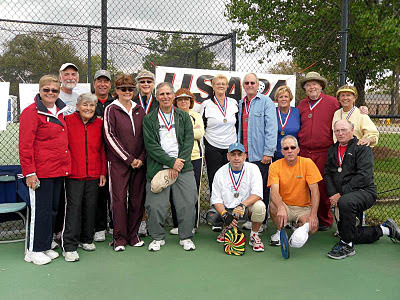 GEORGETOWN - Pickleball at the 4th Annual Waccamaw Sports Classic will be held Friday, April 20, 2012 at 10 a.m. at Coastal Carolina University. Modeled after the Olympic Games, the Classic enables those who are 50, and BETTER, to come together for a day of recreational and competitive sporting competitions. The Classic is a partnership between the Georgetown, Horry and Williamsburg County Parks and Recreation Departments, Myrtle Beach Recreation Department, Coastal Carolina University Waccamaw Area Agency on Aging and Georgetown, Horry and Williamsburg Councils on Aging. Here are the medal winners from last year's event! !